You guys. You GUYS. Modelland is 563 pages long. And I read them all. (Or skimmed some of them. Maybe. A little.) As we all expected, it is awful. It’s more… creatively awful than I might have expected. 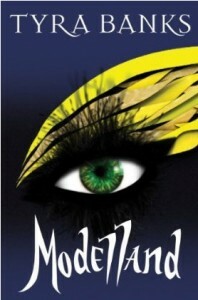 Modelland takes place in some kind of bizarre fashion-themed dystopia. Girls growing up in this world can basically either aspire to be models or sweatshop employees. (Tyra’s description of factory life feels almost–but not quite–like social commentary. I suppose Tyra doesn’t want to bite the hand that feeds her too hard.) Our protagonist is a girl named Tookie De La Creme. Tookie not only has an unfortunate name, but she has a horrible homelife. Her mother is emotionally abusive and clearly favors Tookie’s beautiful (but dumb) younger sister, Myrracle. Her father was once a famous acrobat, but he was injured during a performance (caused by Tookie’s mother vainly checking her reflection in a mirror and inadvertently blinding him) and is now an angry alcoholic. Tookie herself has extremely low self-esteem and refers to herself as a “Forgetta-Girl.” When she writes her name, she dots the “i” with “FG.” We see this often, since Tookie writes a lot of letters to her T-Mail Jail. Which is what she calls her diary, because it is her Tookie Mail Jail where she puts letters so they can’t get out anywhere else. Anyway, every year, there is an event called The Day of Discovery (T-DOD), where all the young girls participate in a catwalk fashion show. The best girls are taken away by scouts to attend Modelland, the academy for models. The best students at Modelland become Intoxibellas, aka Dystopia’s Next Top Models. 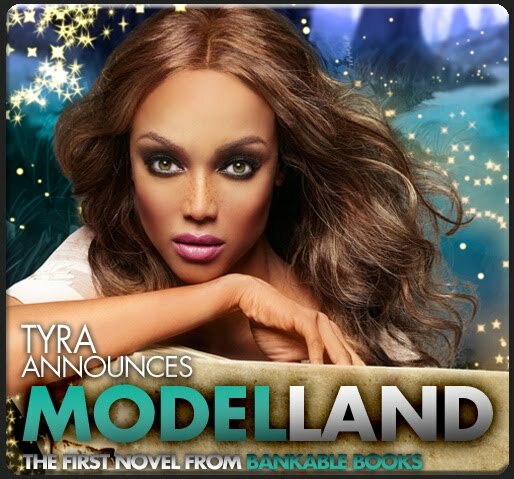 In a weird way, Tyra Banks as an author appears to owe a lot to Roald Dahl. Both have a fondness for extreme, over-the-top scenarios and weird wordplay. The difference, of course, is that Dahl is good at it. The difference is that Dahl writes characters you care about, despite their whimsical surroundings. Dahl transcends absurdity. Banks gets tangled up in it. When you read about Charlie Bucket’s homelife–his father screws on toothpaste caps for a living, all four of his grandparents share the same bed, all they ever eat is cabbage soup–the details are laughable, a caricature of poverty. But still, we care about Charlie Bucket, and anyone who says otherwise is heartless and awful. Get off my blog if you don’t care about the Bucket family! Anyway, Tyra Banks does not pull this off, and Tookie de la Creme is instead hilariously forlorn. At school she just lies down in the hallway every day in the hopes that someone will pay attention to her. But no one does, because she is a Forgetta-Girl. Modelland itself is kind of like America’s Next Top Model on steroids. There are all kinds of absurd challenges and classes. Everything there has a weird semi-word play name. The spa is called OoAa. Male models are called Bestosteros. Runways are called Run-a-Ways. The nurses’ office is called Fashion Emergency Department Store (FEDS). Nurses are called purses. (I am serious.) I think that Modelland was co-written by Tom Haverford. The actual plot of the novel, beyond Tookie learning that she is beautiful on the inside and the outside, is insanely complicated and makes little sense but it involves Tookie’s mother, a disgraced top Intoxibella, Belladonna (the head of Modelland), and Persimmon (a Mannecant… aka servant of Modelland). There are a lot of weird flashbacks and it’s all very strange and forced. The whole thing is forced. The characters, the wordplay, the world itself–none of it feels even remotely plausible, nor is it entertaining enough to allow me to overlook how awful it is. I rate Modelland two smizes out of a possible five. If you are tempted to read this book, I would instead recommend that you read Uglies by Scott Westerfeld and then watch an America’s Next Top Model marathon on Oxygen. The first novel from Bankable Books? Will there be more? I'm sure there will! Much has been made about celebrities writing children’s books. Many have pointed out how offensive it is that celebrities think it is soo easy to write children’s books that they can just waltz in and write one. These people have a point; most books written by celebrities are not good. (Notable exceptions: … none. I can think of no exceptions.) So why do people keep buying them? Because we love celebrities. And celebrities will keep writing books, because we will keep buying them. So it goes! Do not read this book. The last celebrity book I read was Elixir, by Hilary Duff. It was awful. Promise me that you will not read Elixir. If for some reason you feel overcome with the desire to read Elixir, here is how you can simulate the experience: tear a few random pages out of Twilight and a few pages out of The DaVinci Code. Staple them together in no particular order. Read them while drinking heavily, with an episode of Lizzie McGuire on in the background. So my expectations for Modelland are extremely low. I’m still going to read it, though, because Tyra Banks is one of my all time favorite celebrities. America’s Next Top Model is probably my number one guilty pleasure. Tyra is the perfect combination of self-absorbed, trashy, and insane that makes for excellent television. And if Miss J ever wrote a children’s/YA book, you’d better believe I would read that, too. 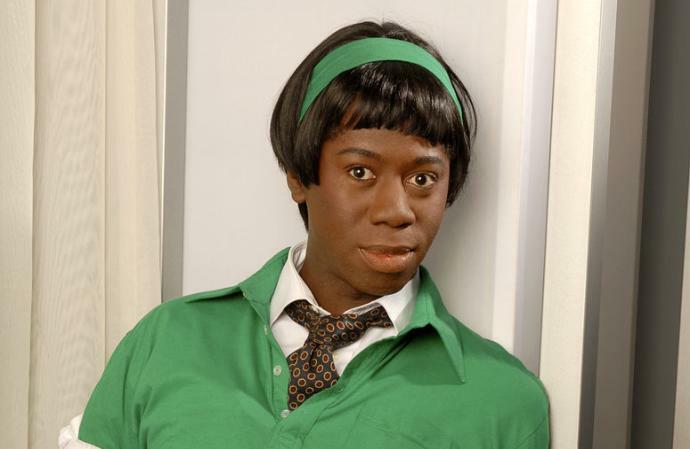 Hope you all have smize-filled weekends!